My initial impression is that this is a very well balanced and level headed recording, that’s to say it strikes a good balance between lyricism and a more turbulent style. The LH interrupts the melody in the right, as it were, but not so much as to break the melody up, just enough to give the music some relief, to prevent flatness. I like it. And of course it sounds very good. I have listened to some samples and I liked what I have heard and indeed a very refined recording.Still waiting however for vol.4 with Bob van Asperen. This is Blandine Verlet’s 1972 recording on a Hemsch, as far as I know it’s never been off LP. Eloquent, urgent, surprising, light, radical, dazzling. Above she communicates superbly her love for the music. Brilliant playing, perhaps recorded a little too closely which may be due to the YouTube transfer. I have Zuzana Ruzickova's recording of these forever inventive pieces. 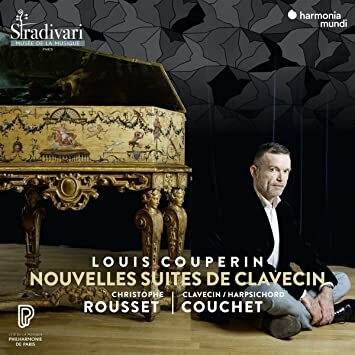 I didn’t know Ruzikova recorded Louis Couperin. I would become very surprised if she did. Ruzickova probably did a Francois Couperin recital. This this maybe the only forum where Louis seems to be discussed more frequently than Francois le Grand, so the confusion is somewhat understandable. Meaning François le grand no discourtesy, this sort of re-emphasis is one of many things I love about GMG. Booth must have come up recently in this thread? This is an interesting recording. The instrument is recorded very up-close and dry with crisp sound. Unlike Sempe, Booth is not presenting a wild, passionate, Louis but a mournful one. I think Booth understands French music well. Next, I want to go back to Van Asperen's L. Couperin to listen more closely. I like Booth even though he's not my first choice. Yes I know, it's Couperin on piano. (And I still have mixed feelings about the Kolesnikov.) Any opinions despite that? He’s put his hands on a good piano, I haven’t got the booklet so I can’t say what it is or how it’s been tuned. He sometimes uses the timbres in the upper registers very effectively. He’s developed a distinctive touch - the liaison between adjacent notes. He doesn’t use it all the time of course. It makes the music sound jittery. He sometimes finds a singing melody, and fix things up so that all the othe voices support or dance round it, rather than than interrupt it. But these two things - jittery portato in one hand and cantabile in the other - make quite a distinctive sound, one which is far from smooth and polished. This is quite original as far as I know. There’s quite a bit of variety of touch and tone. Hats off to him for having a go at the unmeasured music, IMO rather nicely done. He can play quite loudly sometimes. I wish I could get ahold of this. It's not been released widely in the American venues. Not on Amazon, iTunes, etc. It looks much better than Pavel Kolesnikov. Can’t you order it directly from Challenge Records? 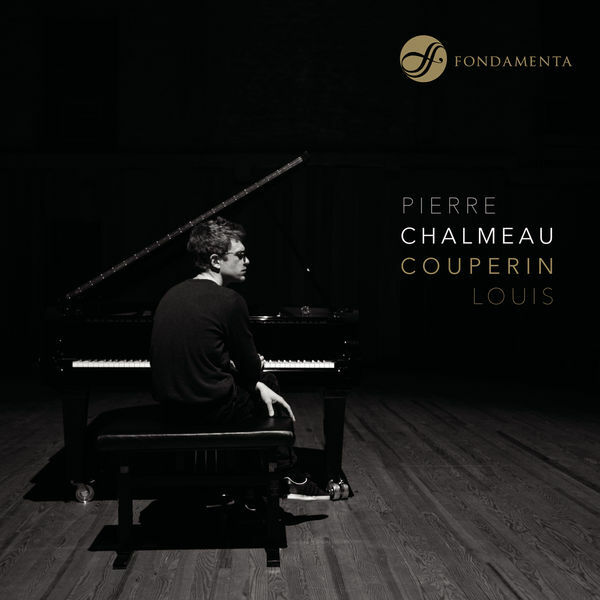 Luc Beauséjour (Analekta) and Moira Lo Bianco (Steinway & Sons) – I was struck by the greater crispness and level of ornamentation in their playing compared to that of Chalmeau. His style borders on the Romantic and certainly contrasts with that of Angela Hewitt, for example. I’m not a great admirer of Luc Beauséjour. 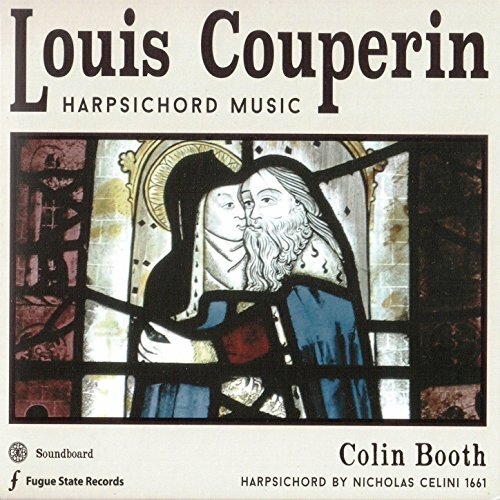 Anyway, I think that when you’re thinking about Louis Couperin on a piano, the thing to consider first is how the music could be made to work on a clavichord. I don't own a cd player. I can probably find an indirect way to get it but there's no American online service that carries it for downloading. None that I can see. Let's see. I'll report back on what I think. Let me know if you want me to get it for you from Qobuz. lso his J. K. Fischer recordings (Naxos) in a certainly not crowded field deserve mention. Another Musical Parnassus here, I've not managed to enjoy this music. I'm enjoying this quite a bit. Music Web didn't like this much because of his selection of pieces; too same-y they said. That's why I like it though. How would you compare this to Pavel Kolesnikov? I wonder if I should give that one another chance? I thought it was too much cantabile.